Home » Blog » Is artificial grass child-friendly? Are you thinking about upgrading to artificial grass, but you’re not sure if you should because you have small children at home? Artificial grass is the ideal alternative to natural grass for all kinds of families, especially those with small children. It’s safe, non-toxic, saves thousands of gallons of water every year, requires little maintenance, and always looks excellent, 365 days a year. 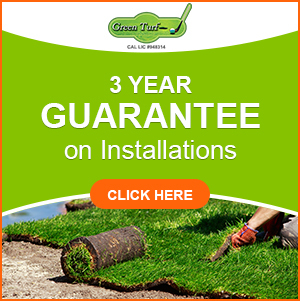 Look into artificial grass for your Southern Californian home – and call Green Turf at (951) 656-4150 to get a free custom estimate. Artificial grass can be placed just about anywhere. For residential applications, it’s the perfect alternative to natural grass in all kinds of areas, including front yards, back yards, dog runs, terraces, and more. Artificial grass is non-toxic, lead-free, plus it requires no chemical treatments to look great every single day of the year. You’ll never need to use weed killer, fertilizer, or pesticides again when you upgrade to synthetic turf from Green Turf. Plus it’s super soft for lots of fun playtimes. Artificial grass is so much safer and more fun to play on than natural grass with all its patchy, dry areas. You and your kiddos will love how plush and comfortable synthetic grass is in comparison – plus the background of all your outdoor photo ops will always be picture-perfect! Synthetic turf is not only super safe and soft for kids to play on, you can also feel great about lessening your environmental impact when you switch. Lessen your carbon footprint with synthetic turf because it doesn’t require heavy watering (only every once in a while to rinse of any debris that may have accumulated) or mowing (no greenhouse-gas emitting machinery). You may be surprised to find out that in California, it takes about 55 gallons of water per square foot per year to keep natural grass healthy. Wow – that’s a tremendous amount of water, just to keep a lawn looking nice. Stop wasting water and switch to artificial grass today. You’ll get the best of both words – an attractive lawn and no more heavy environmental impact. Plus, as previously mentioned, you won’t ever be tempted to use harmful chemicals or pollutants when you switch to always-gorgeous synthetic grass. Do you ever wish you had more hours in the day? Perhaps you spend 9 hours at the office each weekday, 2 hours total in commuting time, 8 hours sleeping, and 3 hours of cooking, errand running, and housework. That only leaves 2 hours of time that you can use to do whatever you’d like. 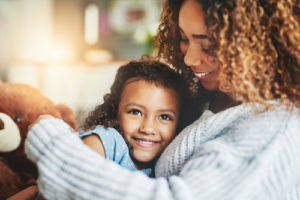 Wouldn’t it be so great if you could spend less time on housework so you have more time to spend quality time with your kids, or doing other activities you enjoy? With artificial grass, you won’t have to deal with lawn care tasks anymore. It’s so awesome! 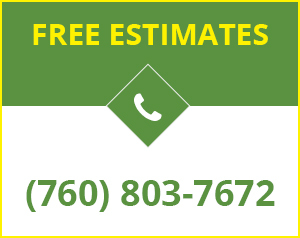 Get ready to switch– request your free estimate today by calling (951) 656-4150.